Robert Lewis Dabney (1820–1898) was a Southern Presbyterian theologian and pastor who deserves more attention than he currently receives. His writings sound prophetic, as Dabney foresaw things like the secularization of the public schools and the weakening of the family unit in America. But Dabney was not a prophet. Rather, he was a man whose razor-sharp mind could see the logical outcomes of the things taking place in his day. In regards to education, Dabney was well aware of the increasing state control of America’s school system. He knew that compulsory state-run schools would not allow for religious instruction and that the system would eventually abandon Christian values entirely. In other words, he knew the system was being secularized. As an advocate of Christian education, Dabney therefore opposed the government’s involvement in education and advocated a privatized system where schools could each teach what they wanted. He would no doubt today be an advocate of private Christian schooling and homeschooling. Dabney’s best works on education are found in his Discussions (a collection of essays published posthumously by his friend), with his most important work being his essay “Secularized Education.” I would like to outline and summarize this great essay, as it provides a devastating critique of the secular education so common today. Dabney’s “Secularized Education” begins by asking two questions that he will answer throughout his essay: (1) “Who is the agent entitled to control education?” and (2) “What is right education?” (p. 272). Dabney’s essay focuses primarily on first question, the agent of education. Dabney says the two most common answers to this question throughout history have been the state and the church. 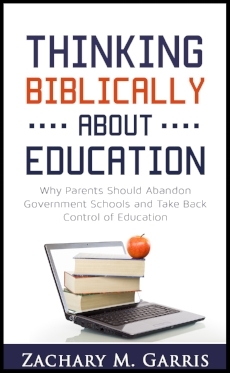 But as Dabney will argue, neither the state nor the church ought to control education. Rather, education is ultimately the responsibility of parents. Dabney spends much time evaluating the idea that the state should control education (the common view of our day). He begins by arguing that if the state is the educator in America, “education must be secularized totally” (p. 273). This is because America as a nation has severed itself from particular churches and religions, as seen in the First Amendment. “Give ‘unsectarian’ religion instruction in the first hour of the day” (while giving parents the option to opt out). The first solution of forcing the majority religion on everyone has obvious problems, as the state would be endorsing a religion and oppressing dissenters. The second solution of having a variety of religious state schools would result in many denominational schools not having enough students to fill schools in all locations. It would also leave the state endorsing particular denominations, some of which contradict one another. The third solution of providing religious instruction at the beginning of the school day has the same problem as the first two—it would involve the state establishing a particular religion. Even though families could opt out, it would punish such dissenters by taxing them for something they do not want. This leaves the fourth solution of secularizing state education. This would limit schools “to matters merely secular, and leaving parents or the Church to supplement it with such religious teaching as they may please, or none.” This is the option that America has chosen, and Dabney spends the majority of his essay examining this option—“Let us see whether this plan is either possible or admissible. This is really the vital question” (p. 276). Is Secularized Education Even Possible? In order to address the question of whether secular education is possible, Dabney says we must first ask what education is. His answer: “Education is the nurture and development of the whole man for his proper end”—and that end is moral (p. 277). He says it may be possible to teach an art or skill, such as using a hammer, in a secular manner. But that is not education, and the state does not claim to limit itself to teaching such skills. No, says Dabney. The state “claims to educate” with the goal of training students as citizens (p. 277). “First, No people of any age, religion, or civilization, before ours, has ever thought so” (pp. 277-78). Every society in history has grounded its education in religion, whether it be Catholic, Protestant, Jewish, Muslim, Hindu, or pagan. This idea of excluding religious instruction from youth is completely new. So Dabney asks rhetorically, “Whence this general revolt from the Christian faith in this country? . . . What has prepared so many for the dreary absurdities of materialism?” (p. 279). “Second, True education is, in a sense, a spiritual process, the nurture of a soul” (p. 279). Man is a spiritual being. This means everything we do involves the soul, including education. To remove Christianity from education is to destroy education. As Dabney says, “Every line of true knowledge must find its completeness in its convergency to God, even as every beam of daylight leads the eye to the sun. If religion be excluded from our study, every process of thought will be arrested before it reaches its proper goal” (p. 280). “Third, If secular education is to be made consistently and honestly non-Christian, then all its more important branches must be omitted, or they must submit to a mutilation and falsification, far worse than absolute omission” (p. 280). Dabney points out that it is hard to see how someone can teach history, psychology, ethics, and law without speaking favorably or unfavorably of the beliefs of Christians, deists, materialists, or any other worldview. Dabney asks a series of piercing questions, “Shall the secular education leave the young citizen totally ignorant of his own ancestry? . . . Can he [the physicist] give the genesis of earth and man, without intimating whether Moses or Huxley is his prophet? . 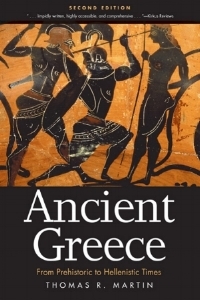 . . How much of the noblest literature must be ostracized, if this plan is to be honestly carried out?” (p. 281). Dabney concludes, "Christian truths and facts are so woven into the very warp and woof of the knowledge of Americans, and constitute so beneficial and essential a part of our civilization, that the secular teacher, who impartially avoids either the affirmation or denial of them, must reduce his teaching to the bare giving of those scanty rudiments, which are, as we have seen, not knowledge, but the mere signs of knowledge" (p. 281). This can be attested by anyone who has witnessed the curriculum of the secular schools of our day. “Fourth, Of all rightful human action the will is the executive and the conscience the directive faculty” (p. 282). In other words, education is moral. Teachers must teach students to work hard, be obedient, and tell the truth. “But on whose authority” does the teacher give these demands? When God and His Word are removed, moral authority falls on the might of parents or the government. Students are then trained not in Christian morality but in pagan morality. But as Dabney’s quotation of John Locke shows, virtue is the goal of education: "It is virtue, then, direct virtue, which is the hard and valuable part to be aimed at in education . . . If virtue and a well-tempered soul be not got and settled so as to keep out ill and vicious habits, languages and science, and all the other accomplishments of education, will be to no purpose but to make the worse or more dangerous man" (p. 283). “Fifth, We need the best men to teach our children. The best are true Christians, who carry their religion into everything” (p. 284). Christians should want godly Christians to teach their children. Such men and women apply the Bible to all of life, including the subjects they teach. But such Christians will have great trouble teaching in the secular schools—“So the tendency must be towards throwing State schools into the hands of half-hearted Christians or of contemptuous unbelievers” (p. 284). Why would Christian parents want to entrust so great a task to such people? “Sixth, To every Christian citizen, the most conclusive argument against a secularized education is contained in his own creed touching human responsibility” (285). Christian parents should want to provide their children with a Christian education. But secular education is not a Christian education. And as Dabney say, “A non-Christian training is literally an anti Christian training” (p. 285). It is this last point—that secular education is anti-Christian—that Dabney spends the rest of his essay elaborating. Though the state does not have the goal of evangelizing its citizens, it also does not have the right “to become an anti-evangelical agency.” The state does not have the right to “war against” Christianity. Dabney says, “While we have no right to ask the State to propagate our theology, we have a right to demand that it shall not oppose it. But to educate souls thus is to oppose it, because a non-Christian training is an anti-Christian training” (p. 285). Dabney anticipates an objection: “If the State may govern and punish, which are moral functions, she may also teach.” He responds, “If we are prepared for the theocratic idea of the State . . . then we can conclude thus.” So consistency in this objection would require “a State religion, a beneficed clergy, a religious test for office, and State power wielded to suppress theological as well as social error.” Of course, America does not have such a theocracy and the state should therefore stay out of education. Furthermore, there is a difference between governing and teaching—“While secular ruling and punishing are ethical functions, they are sufficiently grounded in the light of natural theism. But teaching is a spiritual function” (p. 286). Teaching requires redemption of the student, and this cannot be attained by natural theology as governance can. But nearly all public men and divines declare that the State schools are the glory of America, that they are a finality, and in no event to be surrendered. And we have seen that their complete secularization is logically inevitable. Christians must prepare themselves then, for the following results: All prayers, catechisms, and Bibles will ultimately be driven out of the schools . . . Humanity always finds out, sooner or later, that it cannot get on without a religion, and it will take a false one in preference to none. Infidelity and practical ungodliness will become increasingly prevalent among Protestant youth, and our churches will have a more arduous contest for growth if not for existence (p. 289). Dabney points out that the American public school system has its roots in theocratic societies. Early American colonies that pioneered state education, such as Massachusetts and Connecticut, “held firmly to a union of Church and State” (p. 289). The same was true of the state school systems in Scotland and Prussia. The American system thus follows the education model of theocratic nations but has removed the religious aspect that was foundational to those systems. It has thus become a system for training in atheism and immorality. How then should state education be regarded “when it is imported into commonwealths whose civil governments have absolutely secularized themselves and made the union of the secular and spiritual powers illegal and impossible?” In other words, can we accept state education when our state is not theocratic but has firmly separated church and state? To answer this question, Dabney returns to the question he raised at the beginning of his essay regarding who ought to control education—“Is the direction of the education of children either a civic or an ecclesiastical function? Is it not properly a domestic and parental function?” (p. 290). God has provided for the parents social and moral influences so unique, so extensive, that no other earthly power, or all others together, can substitute them in fashioning the child’s character. The home example, armed with the venerable authority of the father and the mother, repeated amidst the constant intimacies of the fireside, seconded by filial reverence, ought to have the most potent plastic force over character. And this unique power God has guarded by an affection, the strongest, most deathless, and most unselfish, which remains in the breast of fallen man. Until the magistrate can feel a love, and be nerved by it to a self-denying care and toil, equal to that of a father and a mother, he can show no pretext for assuming any parental function (p. 291). Parents have the greatest influence on their children, and for that reason parents ought to educate their children. A state that seeks to teach children that which is contrary to the parents’ beliefs is undermining parental authority. As Dabney says, “If the father conscientiously believes that his own creed is true and righteous and obligatory before God, then he must intuitively regard the intrusion of any other power between him and his minor child, to cause the rejection of that creed, as a usurpation.” Such usurpation by the government is “in the direction of despotism” (p. 291). Though parents are fallen and imperfect, “the supreme authority must be placed somewhere.” And God has indicated that “no place is so safe for it as in the hands of the parent, who has the supreme love for the child and the superior opportunity.” Yes, many parents neglect and pervert the power—“And does the State never neglect and pervert its powers? With the lessons of history to teach us the horrible and almost universal abuses of power in the hands of civil rulers, that question is conclusive. In the case of an unjust or godless State, the evil would be universal and sweeping. Doubtless God has deposited the duty in the safest place” (p. 292). Dabney then invokes the concept of sphere sovereignty—“God has immediately and authoritatively instituted three organisms for man on earth, the State, the visible Church, and the Family, and these are co-ordinate in rights and mutual independence. The State or Church has no more right to invade the parental sphere than the parent to invade theirs” (p. 292). The essential problem with the American school system is that it has confused the spheres of the state and family, with the state in fact usurping the family’s role. As Dabney says, “God designed the State to be the organ for securing secular justice” (p. 293). The state, along with the church, ought to “recognize the parent as the educating power.” The state can encourage education by “holding the impartial shield of legal protection over all property which may be devoted to education,” but it should not provide that education. Recognizing the proper sphere for education—the family—would solve the problem of the state attempting to school children from different religious backgrounds. As Dabney concludes, “Our educational system might present less mechanical symmetry, but it would be more flexible, more practical, and more useful” (p. 294). May God help this nation to restore such a family-driven education. Robert L. Dabney, “Secularized Education,” in Discussions, vol 3 (Carlisle, PA: Banner of Truth, 1982), pp. 272-294. The entire essay can be read online here for free, beginning on p. 225. Dabney's 5-volume set can be purchased here.